A hilarious, heart-breaking and ultimately uplifting story of love, loss and family. Martin Slevin’s mum is an active and fiercely independent woman who runs her own business and brooks no nonsense from Martin and his father. But when her husband dies everything crumbles, and she becomes listless and forgetful. Eventually, she is diagnosed with Alzheimer’s disease and Martin puts his own life on hold to care for her. Together, they embark on a long journey through dementia. The destination is never in doubt – but it’s a comical and unpredictable ride, as she watches TV with a frozen goose, holds sing-songs with an imaginary Irish band and insists on pinning all of Martin’s socks to the wall. And all the time, a question nags away at him: just who is the little girl in the radiator, with whom his mum has urgent, whispered conversations each day? 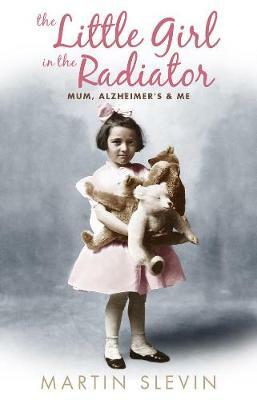 Read the first chapter of The Little Girl in the Radiator. A truthful real life account into the life of a son caring for his mother with Alzheimer’s. Heartbreakingly sad yet humourous at the same time, this book effectively sheads light into this hidden world of illness and loneliness. Reccomeneded for all those touched by this disese. 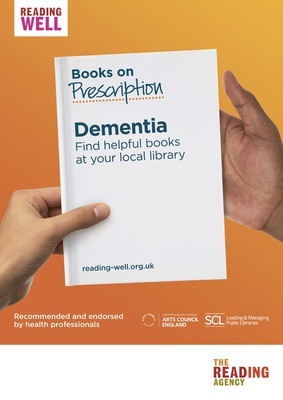 I absolutely loved this book – it made me laugh and cry in equal measure and opened my eyes to what it’s like to care for someone with Alzheimer’s Disease. A true story, the author, Martin Slevin, writes from the heart and with verve and enthusiasm. When Martin moves back into his old family home to care for his mother, Rose, he doesn’t know what he is letting himself in for. Every day is an adventure as Rose shave’s the dog’s bottom, pins all of Marin’s socks to the wall, watches TV with a giant frozen turkey, makes dozens of cups of tea and sandwiches for an imaginary Irish band she’s invited to stay, and chats to a little girl who is trapped in the radiator. When he takes her Christmas shopping she insists on wearing flashing elf ears and their Christmas tree is still decorated in March because she likes the lights and doesn’t want to take it down. It becomes more poignant as Martin realises he is struggling to give his mother the special care she needs and also suddenly realises who the little girl in the radiator is. Have a box of tissues ready, but as much to wipe away tears of laughter as to mop up tears of sadness. Have a read – it’ll make you realise you are not alone.